In every respect, the River Test is the pre-eminent chalk stream. 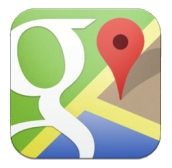 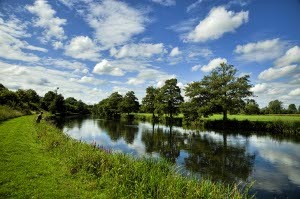 Physically, it is the longest: 39 miles from source to estuary. Historically, it is generally regarded as the birthplace of modern fly fishing. 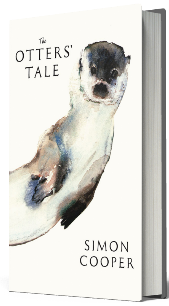 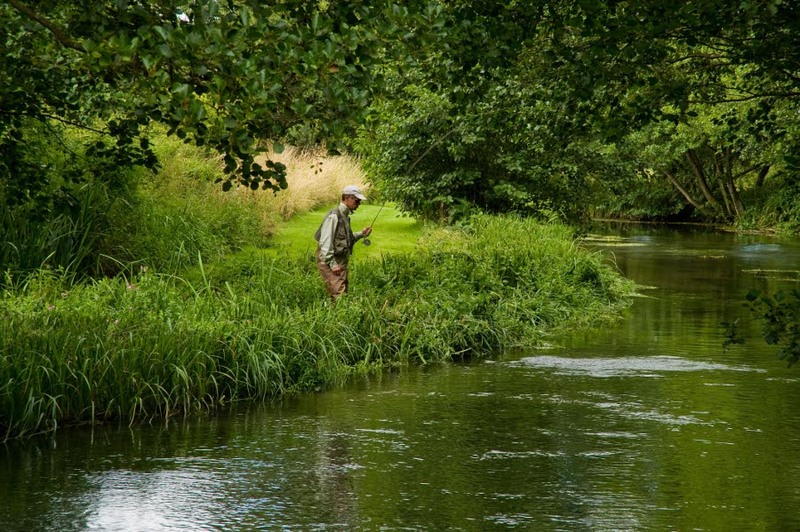 In literature, Halford, Plunkett Greene and Skues, to name but a few immortalised the Test in their fishing writings. 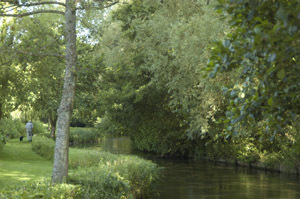 The Test rises in north Hampshire in the hamlet of Ashe, not Overton as generally supposed. 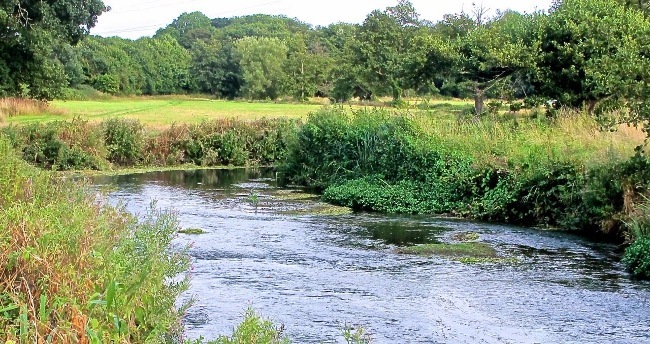 It then travels on a south-west curve, growing in width and flow as first the Bourne, and then the Dever and the Anton join the main river. At no point in it’s first 35 miles can the Test be regarded as one river; it is an amalgam of the main channel, tributaries, carriers that have been man-made for water meadow irrigation, side streams, mill channels and feeders. At some points two, three or even four streams run parallel. All are fishable and such is the nature of the river that it is often hard to deduce which is main river and which is carrier. On through the sheep grazed valley the river flows, seemingly every sleepy, thatched village on its journey having some part of fly fishing history. 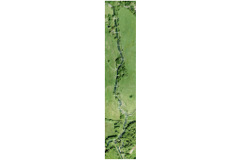 Below Stockbridge the river becomes appreciably bigger, in places too wide to cast across. 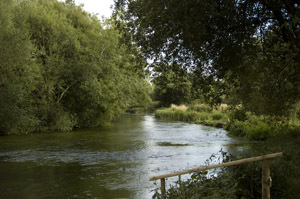 Then the Wallop Brook and the Dun join the main river and it is only south of Romsey, a few miles from the sea that the River Test finally becomes one single channel. Broadlands House is the private beat of the Mountbatten family flowing as it does alongside the lawn that slopes down from this magnificent Georgian home. 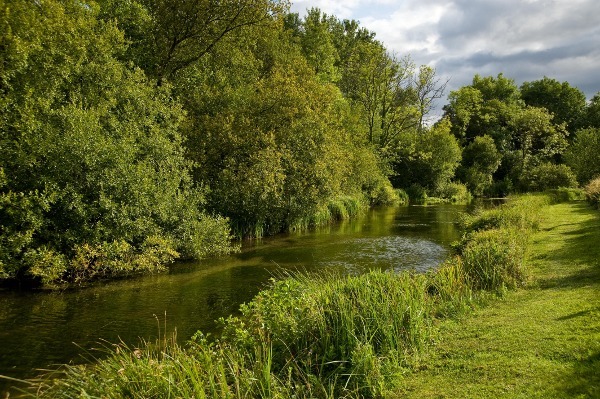 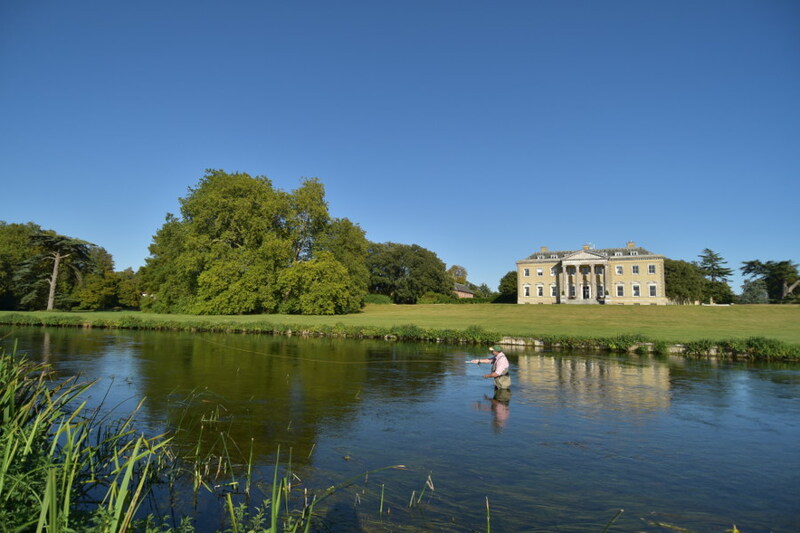 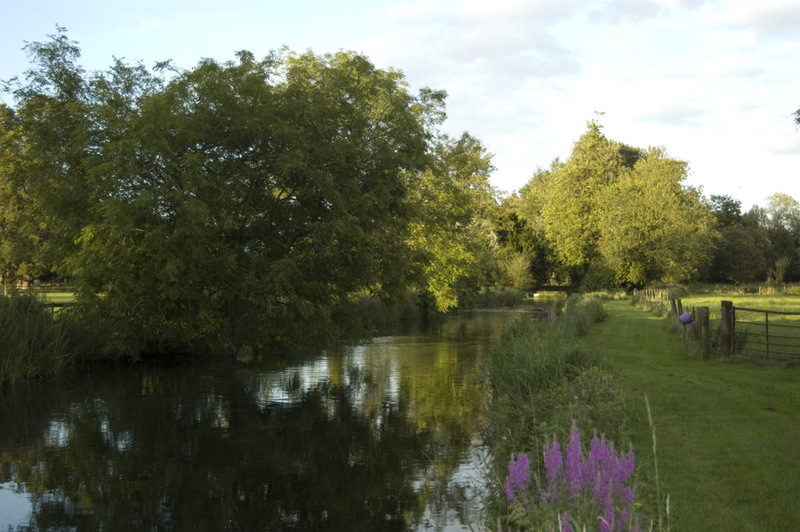 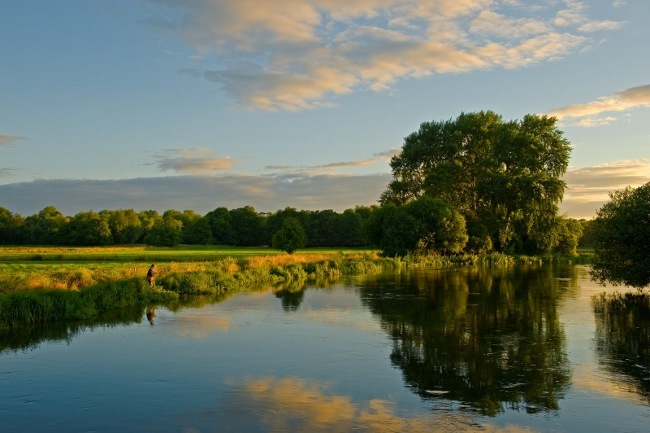 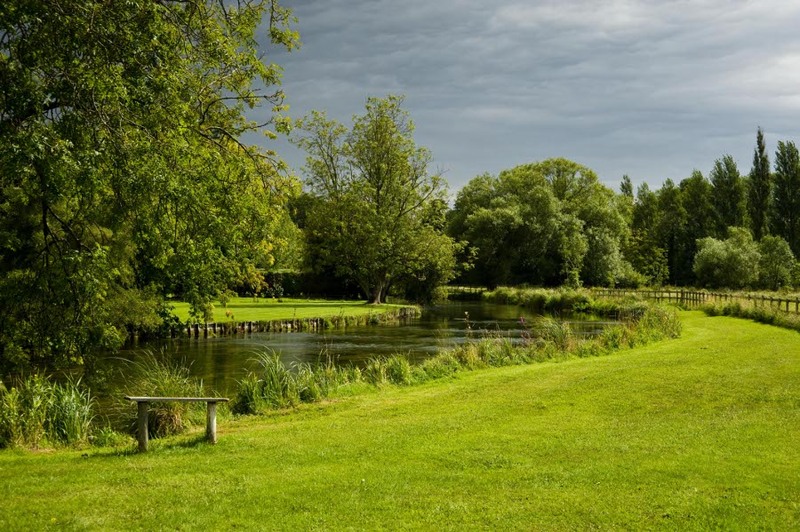 With only a limited number of days available during each season this is an opportunity to fish on one of the most iconic sections of the River Test. 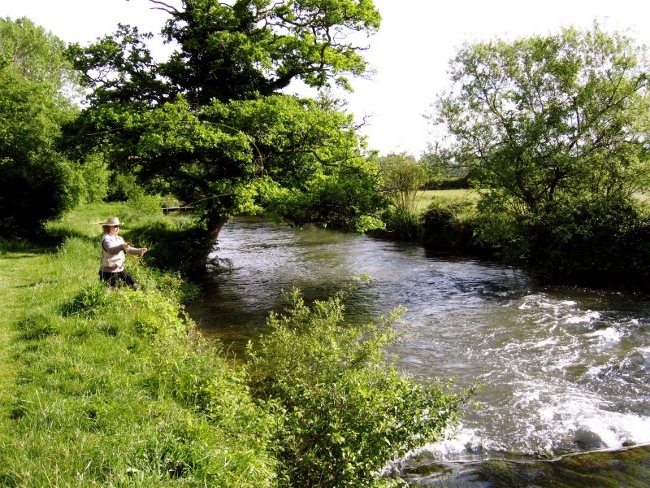 The Tanyard and House beats are perfect for a small group with plenty of river to spread over, open banks and extensive sections which are ideal for wading. 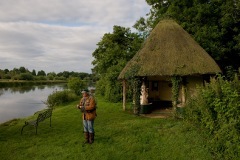 There is a fairly basic fishing hut but The Cromwell Arms is just 100 yards walk. 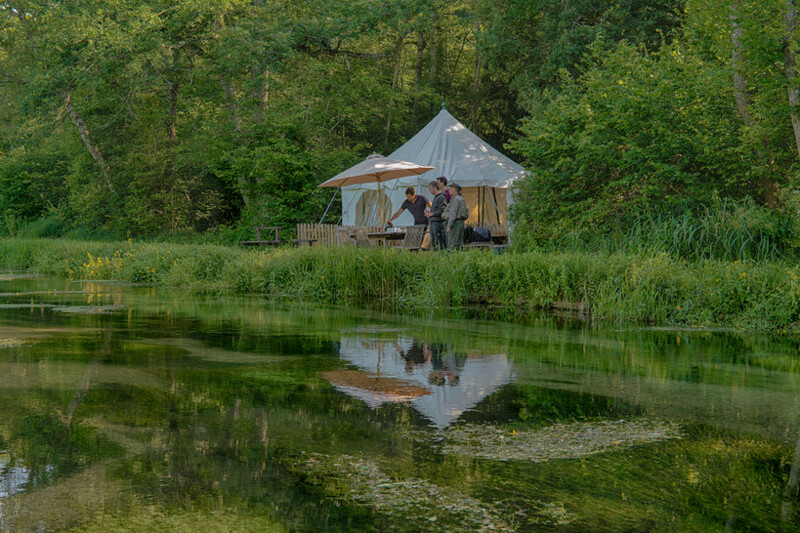 It offers breakfast, lunch and dinner, plus has comfortable bedrooms. 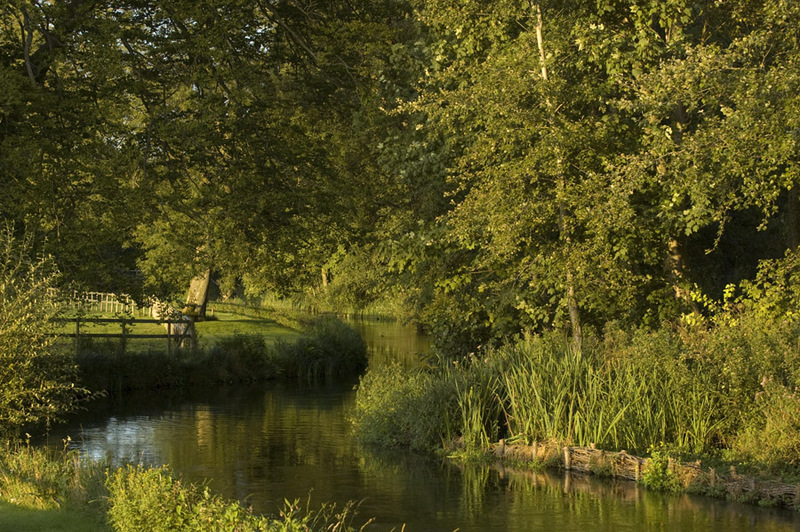 Alternatively The Three Tuns (150 yards) is the welcoming pub the locals head to. The fishing is reserved for the exclusive use of parties of two to four. 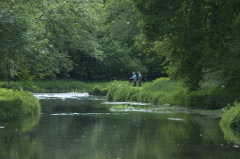 The daily rate includes our fishing guide who will provide tackle, flies and assistance as required. 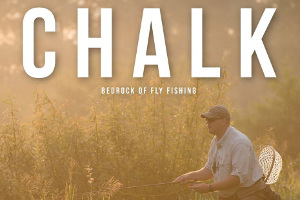 Price includes a fishing guide who provides tackle and flies at no extra charge. 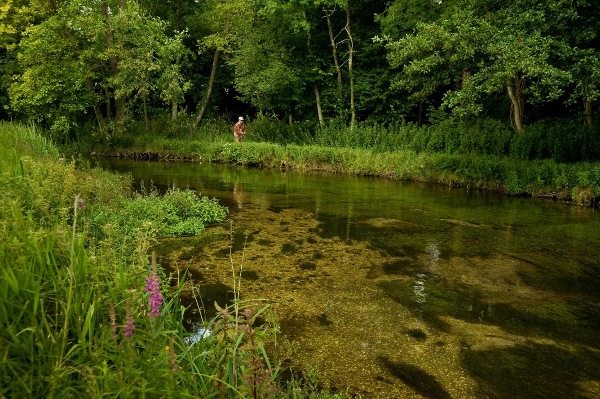 If sight fishing over bright gravel beds, picking out trout with a dry fly or sight fishing with a traditional nymph pattern between the waving tails of ranunculus is your chalkstream dream then this is the place to head for. 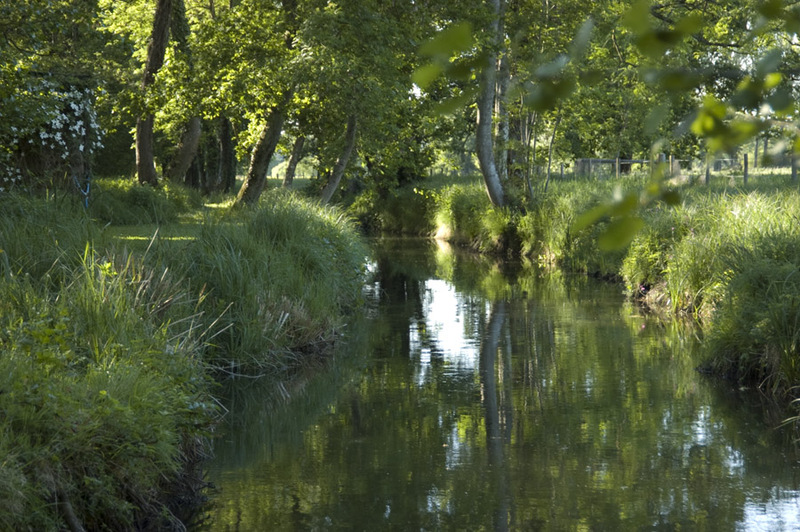 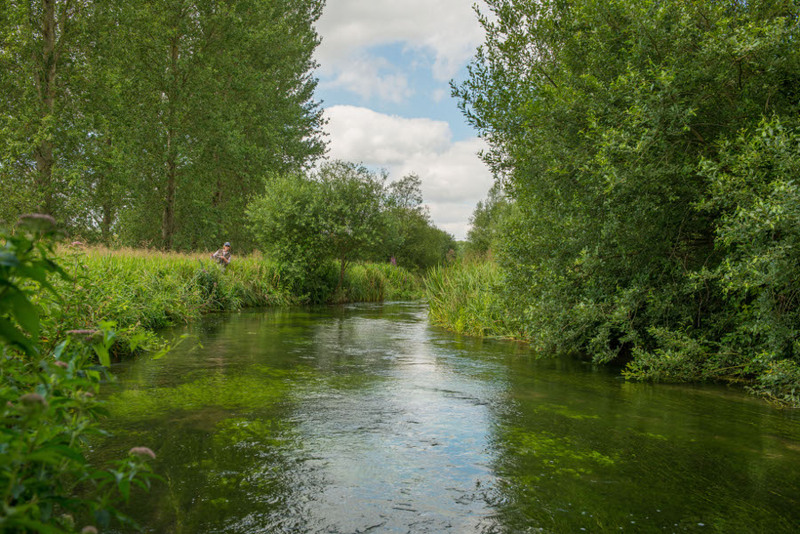 You will rarely find a more beautiful spot than these beats on the Upper Test, where the 2½ miles of unspoilt chalkstream fishing is always crystal clear. 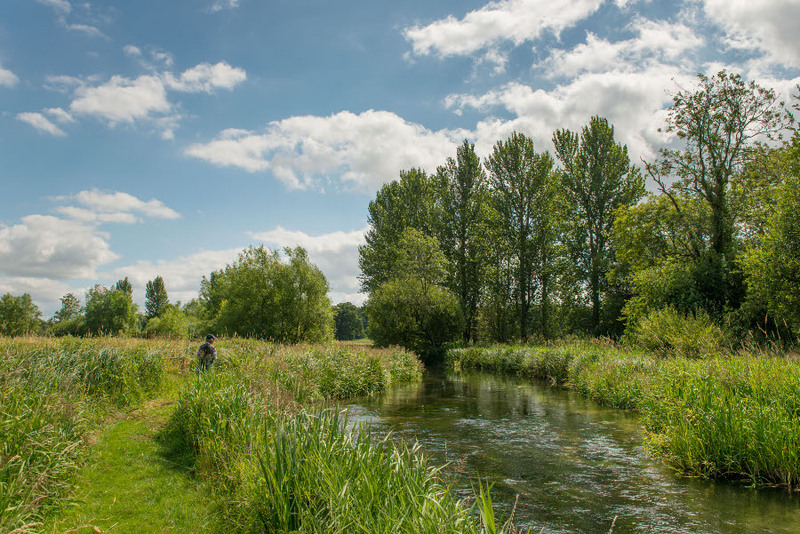 Immaculately maintained, with three picturesque fishing huts and resident keeper Simon Fields, Bullington Manor is excellent for the seasonal hatches we hanker after, where the chalkstream year may be measured by the flies you pluck from your box. 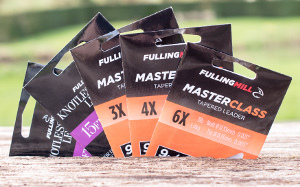 There are four beats of roughly the same length and all double bank, but within that there are some variations that give each a distinct edge. 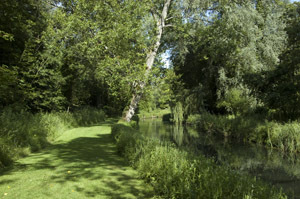 Bullington Manor has remained a Fishing Breaks favourite for each of our 25 years. 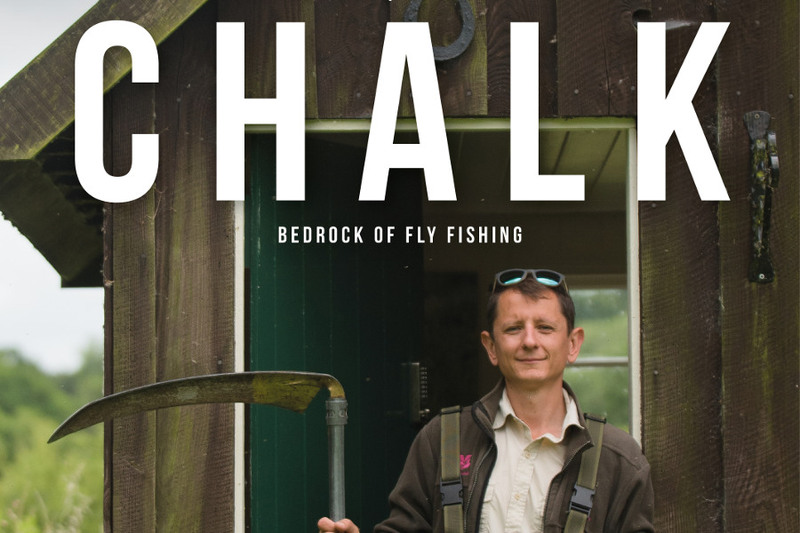 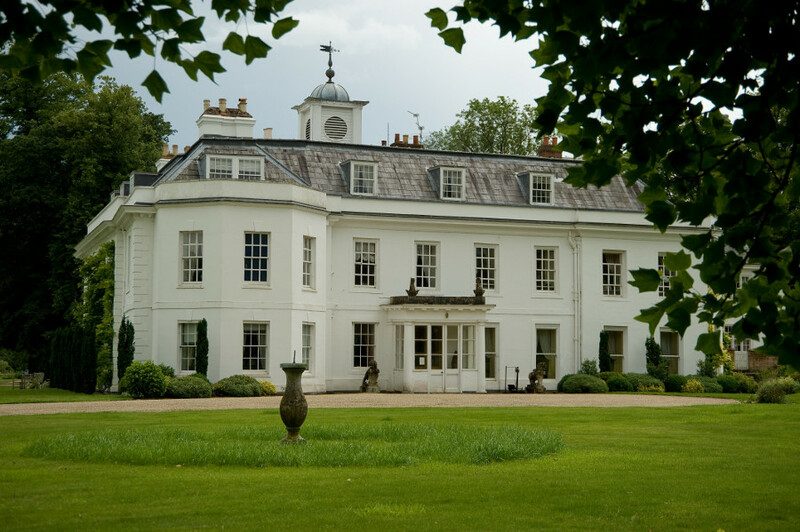 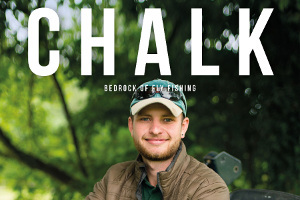 Watch the 3:30 minute Directors Cut of CHALK filmed at Bullington Manor. 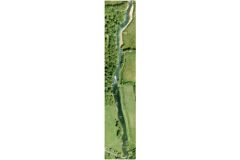 Like all the beats, Beat 1 is double bank along its entire length, but with only one bank prepared. 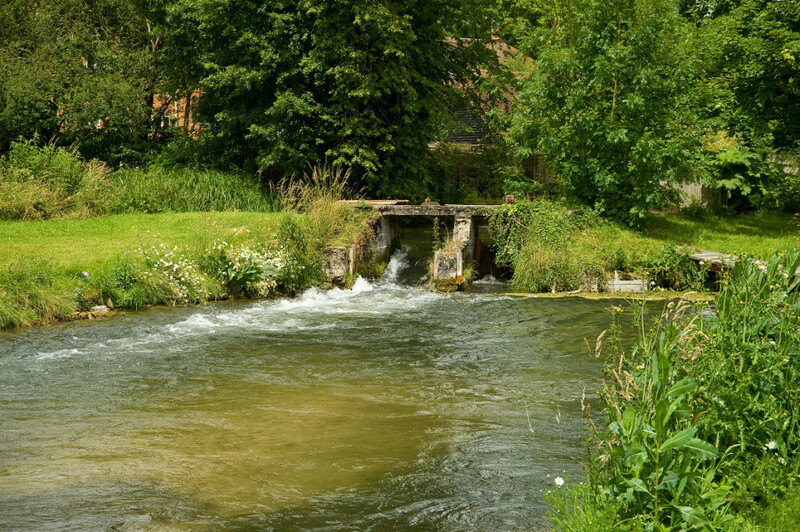 Starting upstream of the old mill this is the narrowest of the beats. 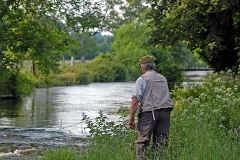 Fish from the left bank until the halfway point where you cross to the opposite bank, so it’s good for left-handers. There are two cracking hatch pools and a rarely fished section beyond the disused railway viaduct. 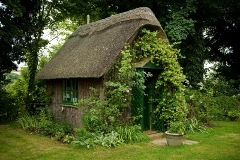 You will share the Mill Cabin with Beat 2. 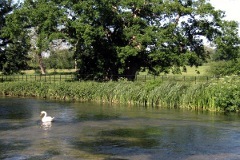 There is plenty of variety on this beat, which runs through open water meadows and shaded wooded sections. Fish the left bank (looking upstream) for the entire length. 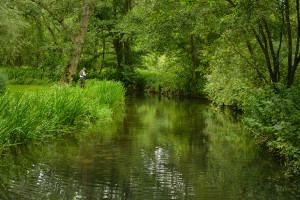 Starting out at Keepers Bridge this is classic chalkstream fishing that then turns into a slower, deeper section along Grayling Alley culminating in the famous Ash Tree pool. 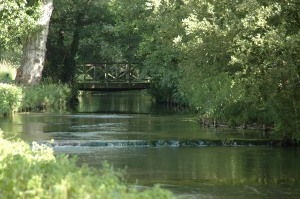 Beyond that the Tank Crossing is a banker as is the mill race just short of the cabin. 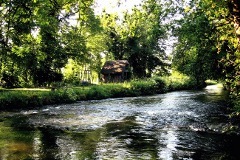 You will share the Mill Cabin with Beat 1. 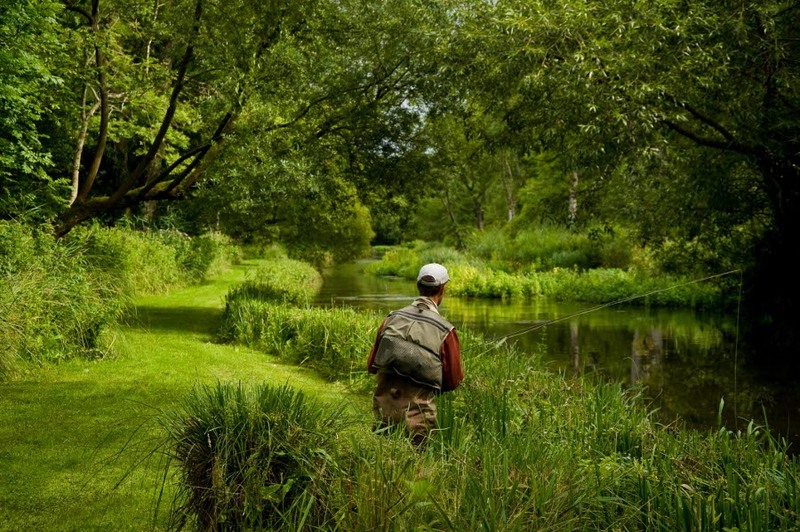 This is the beat that has the quirky Buckingham Palace fishing cabin and is the beat with the highest proportion of wild fish. 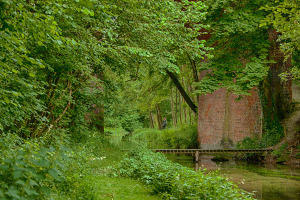 Make your way along the back track through the woods to reach the bottom of the beat at Venice Bridge without disturbing a single fish. 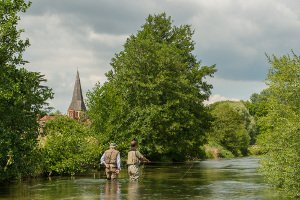 Fish from the right bank to get the very best from the Venice Bridge pool at the start, then return to the left for the remainder of the beat. 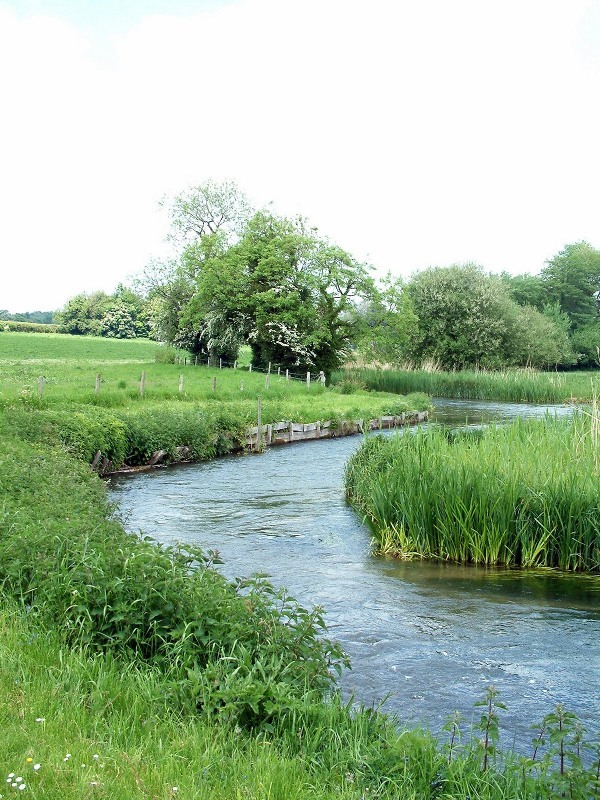 There are plenty of wide, fast and shallow sections, interspersed with pools and impoundments that have scoured out pools. The final straight from the bridge to the Palace is a great holding section. 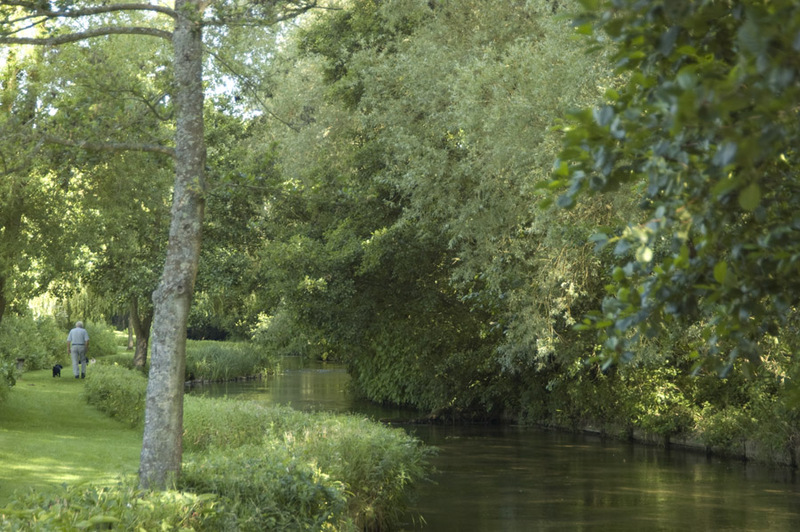 If you want guaranteed protection from the weather, be it bright sun or wind, Beat 4 is perfect as it runs through woodland from top to bottom. 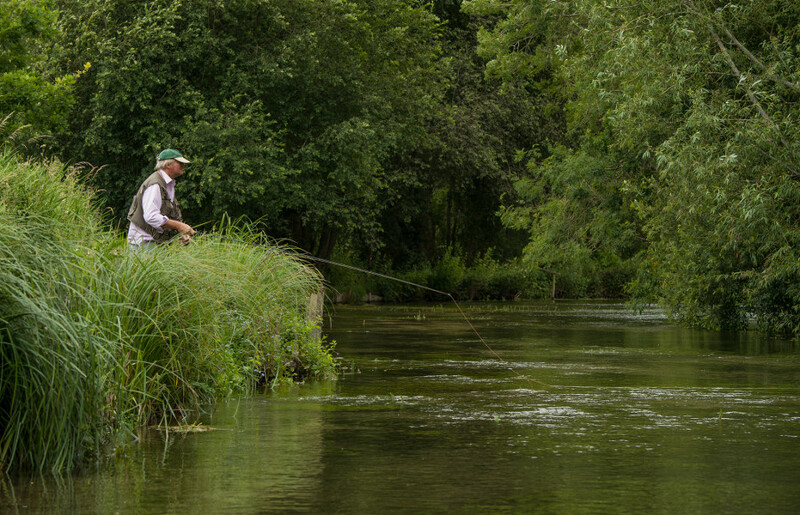 This beat has the greatest depth of the four and has a very slightly slower pace that suits larger fish. 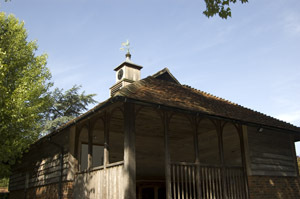 Start from the Dever Castle cabin and work your way up the left bank until you reach the beat end at Venice Bridge. 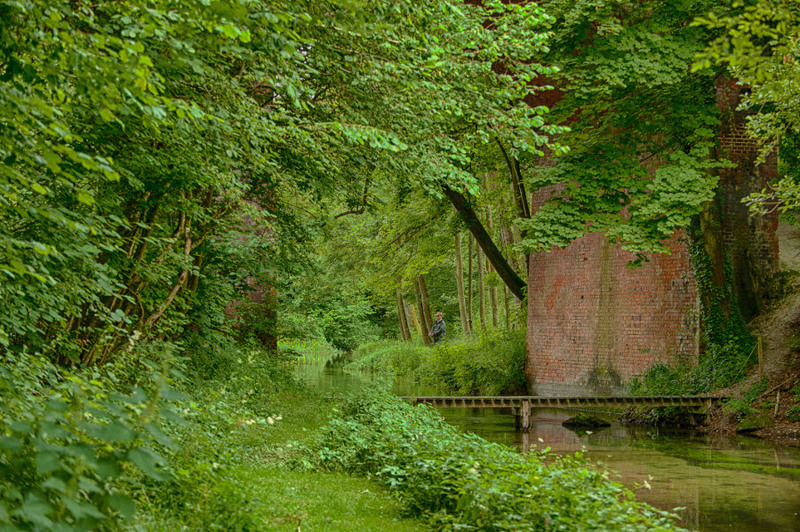 The final section to the bridge has some fantastic undercuts. 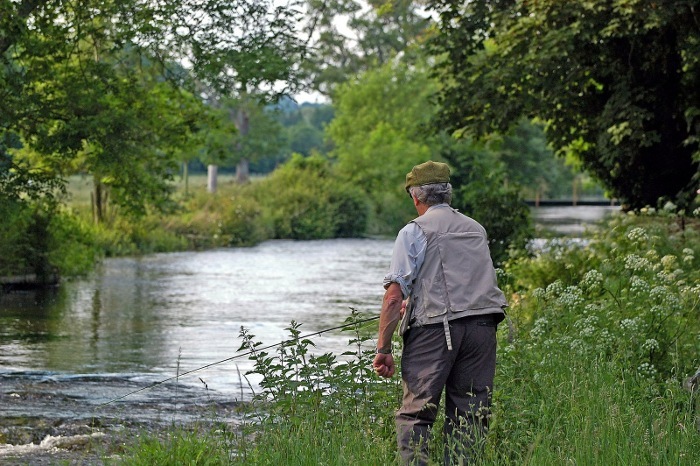 This is not a good beat for a left-hander. NB If you are not sure which beat to pick please email me simon@fishingbreaks.co.uk and I’ll be happy to advise. Min. 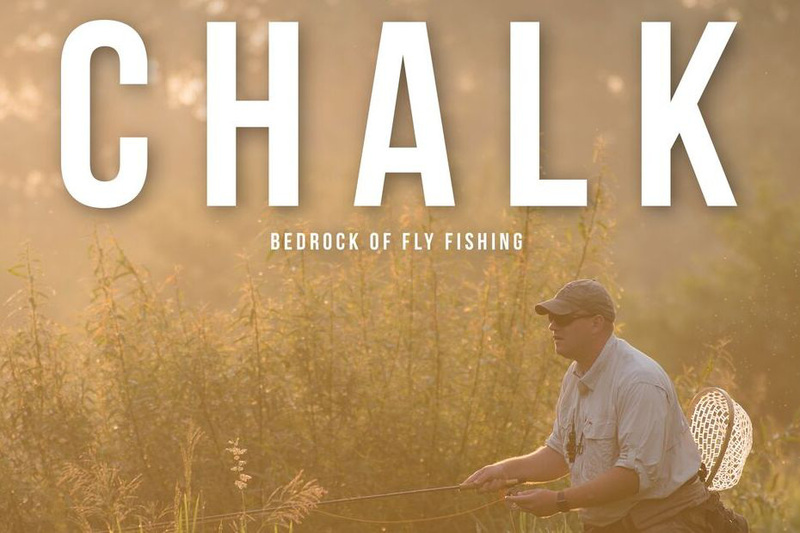 booking 2 rods May 13 - June 7. 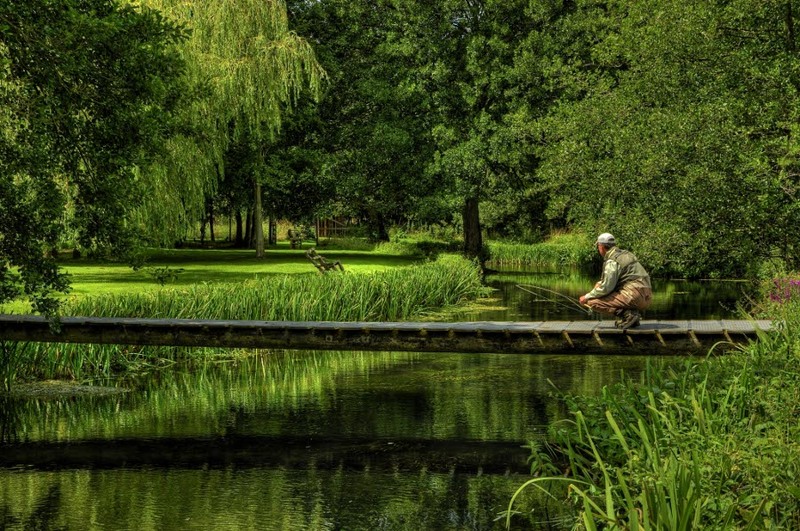 During the grayling season we disregard the beat boundaries and all rods are free to roam as you wish. 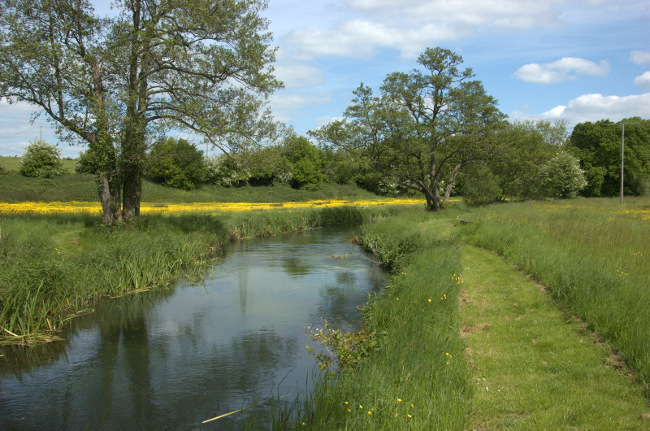 The River Dun is one of the most important of the River Test tributaries, rising above Lockerley and joining the main river at Mottisfont Abbey. 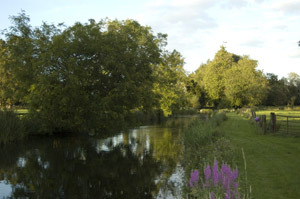 Dunbridge is a little bit of chalkstream heaven, immaculately maintained with great fishing for one rod or two friends. 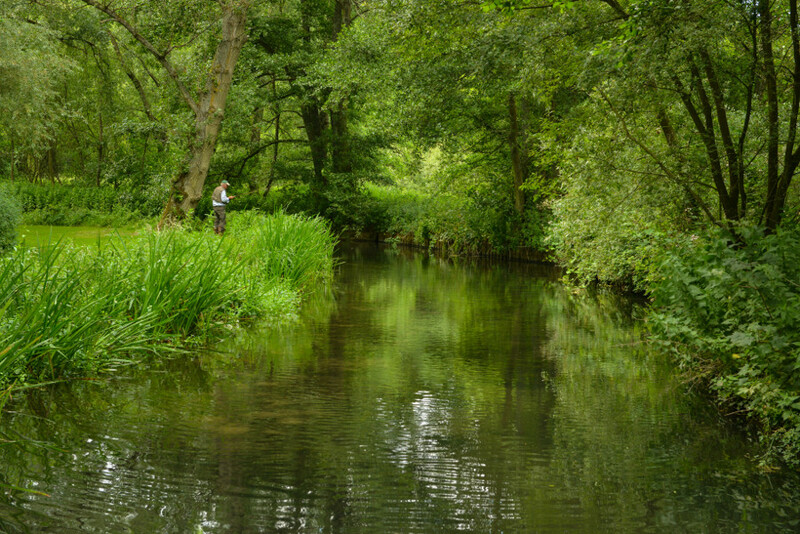 There are deep pools, fast riffles and plenty of shaded cover from the opposite bank that encourage fish to rise throughout the day. 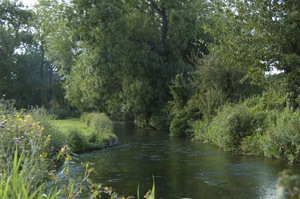 The river holds wild trout, grayling plus some really very large fish. 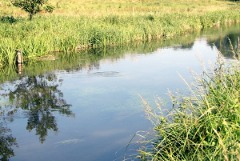 Of all our beats this is one that regularly gets an evening rise. If you don’t have a car, the train station in Dunbridge village connects to London in around two hours. 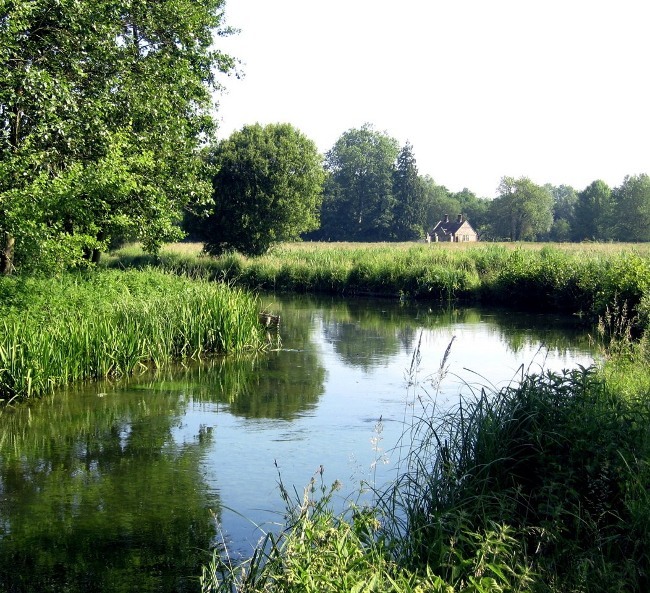 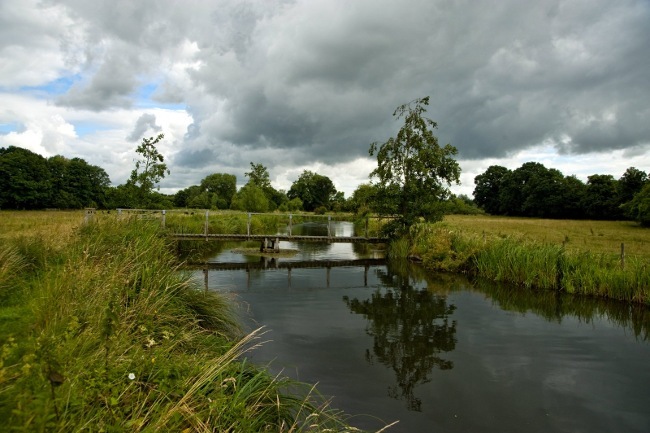 The Middleton Estate is in Longparish, one of the loveliest villages in the Test valley where the fishing is cared for very much in the tradition of an old-style chalkstream. 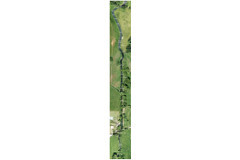 The Half Water is one of our longest single beats on the River Test, coming in at just over a mile in length. 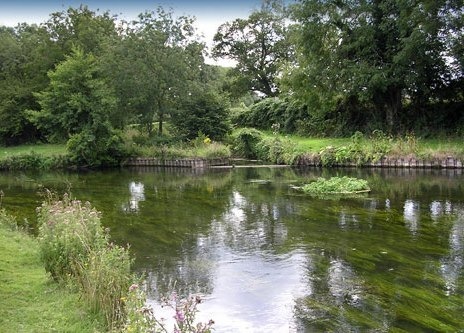 Extensively restored in recent years, this is a beat that has a bit of everything: slow sections, fast sections, deep holding sections and, hatch pools. 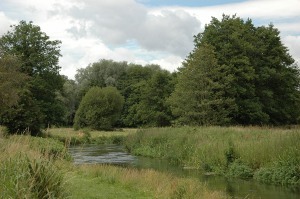 Sections run through the water meadows; some parts are shaded by trees. 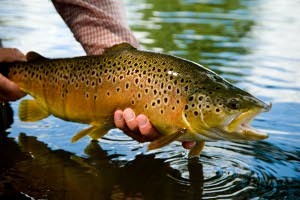 There is a good head of wild fish, supplemented by careful stocking. 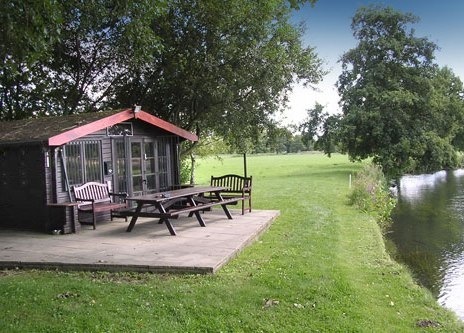 The Half Water has its own fishing hut at Dog Leg Hatch with a parking area. 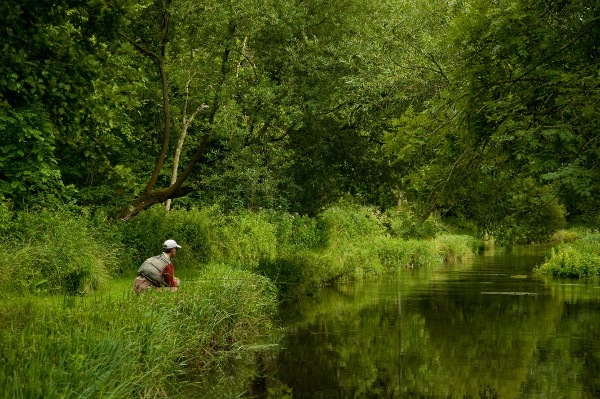 This beat is perfect for two or three rods. 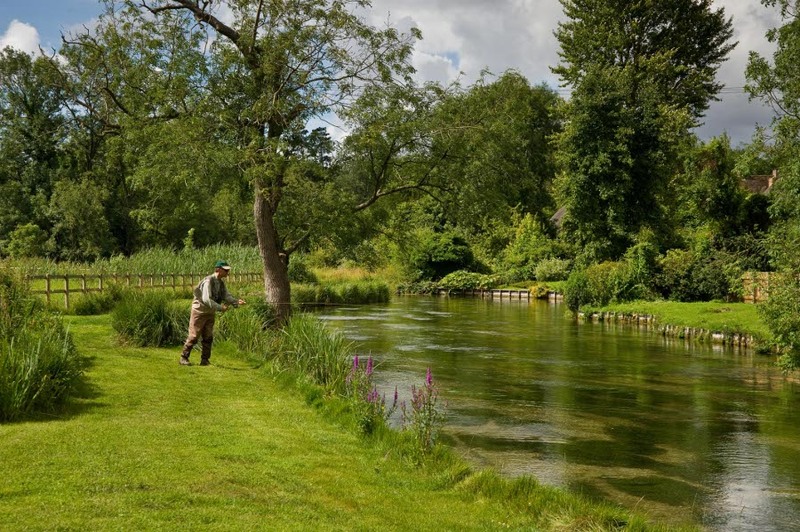 Mottisfont Abbey is quite simply the birthplace of modern day fly fishing. 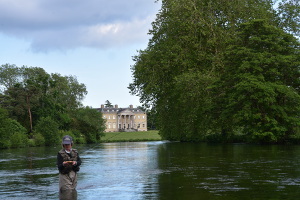 It is the very place where F. M. Halford, the man who can truly be said to have done more that any other to establish dry fly fishing as a sport in itself, fished at the height of his fame. 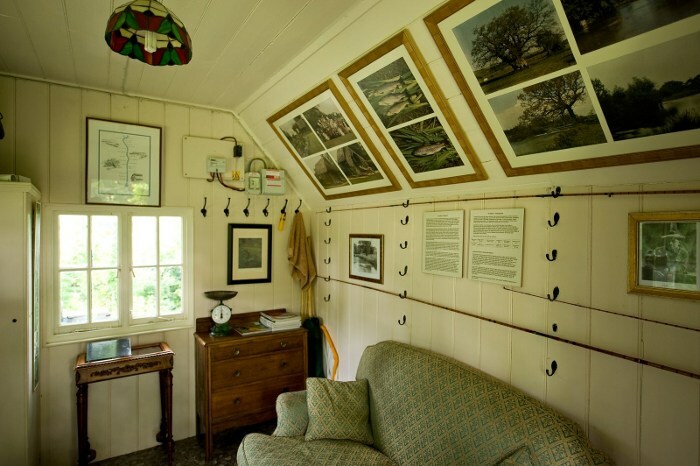 The famous Oakley Hut, where Halford spent all the summers of the early twentieth century until his death in 1914, stands today almost exactly as it was in his day. The photographs in the Hut taken at that time show the river and fishing barely changed today which makes you truly feel you are following in the footsteps of a fishing great. 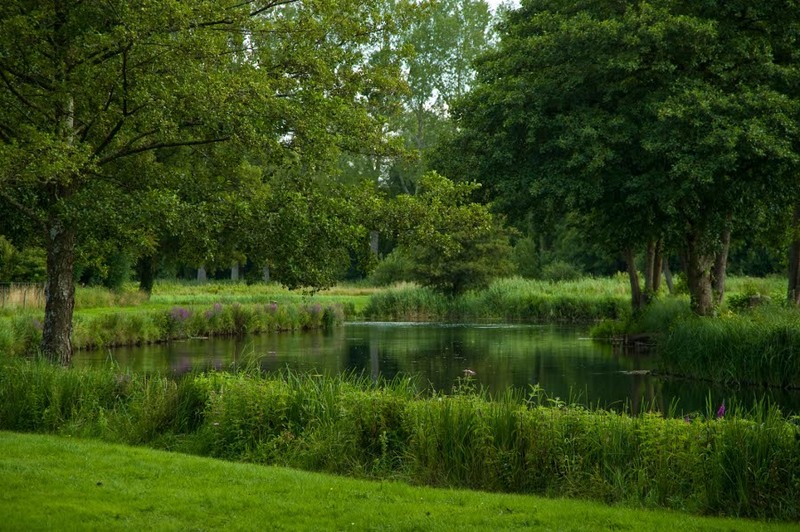 The Mottisfont Estate comprises of three beautiful beats: the Oakley, Rectory and Main. 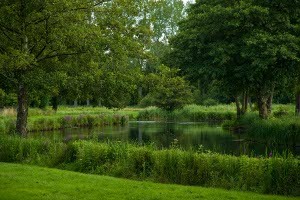 Each is suitable for two rods and the three may be combined for a small party. 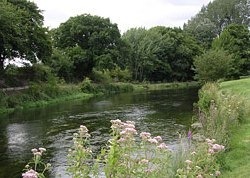 The River Dun beat is available by special request. 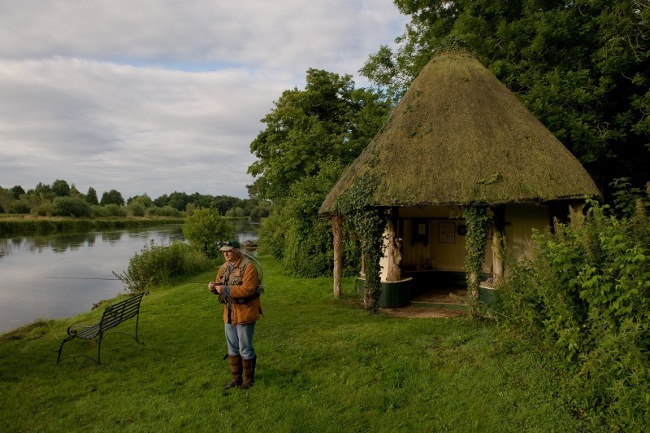 This is the famous one with the amazing Oakley Hut where Halford held court; every fishing great of the Victorian era came here at one time or another. 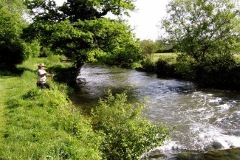 The bottom of the beat is fast, wide and shallow and a haven for wild fish. A little further up, the Oakley Oak (the oldest in Hampshire) presides over a lovely series of riffles over gravel and ranunculus and some deeper pools. Upstream, the river ripples through the Oakley Hut garden which beautifully maintained by National Trust volunteers. Beyond the garden the angler has the option of both banks to fish from. 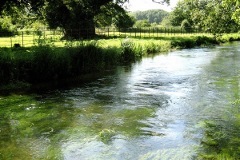 Towards the top of the beat, the river glides as it opens out into the meadows ending at the boundary with Bossington. A truly majestic beat which is as wide as any as you will encounter on the Test between Stockbridge and Romsey. 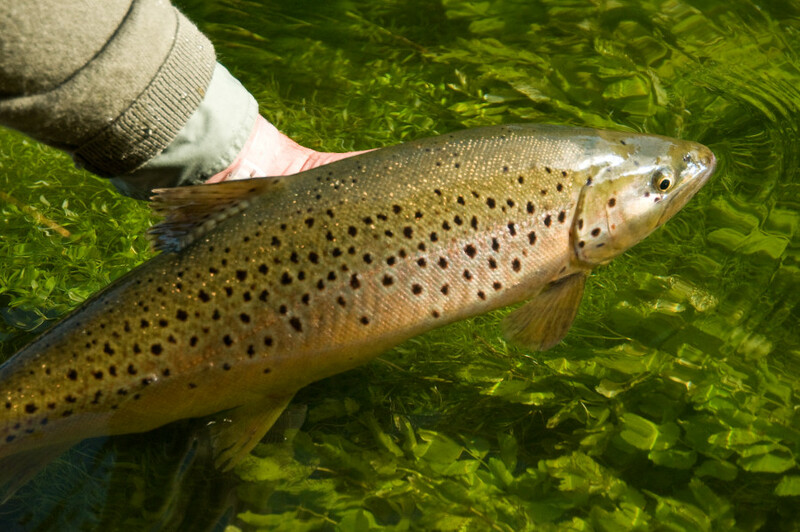 The Main has produced huge fish in recent seasons. 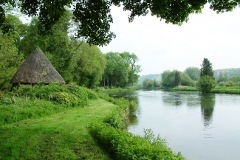 The thatched Round Hut is your starting point, about one third of the way up the beat. 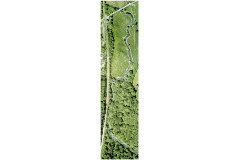 Turn downstream to reach the start, staying on the left bank the entire way as you move upstream. 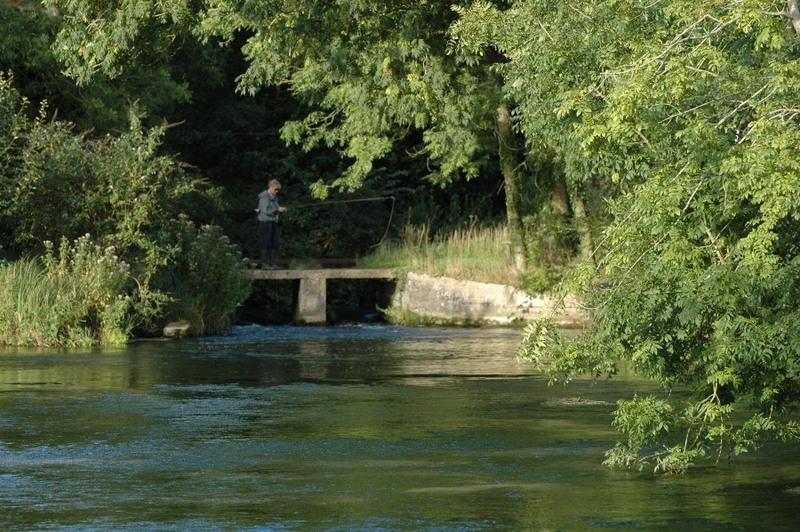 At the very bottom of the beat, big fish are occasionally taken in the shadow of the bridge. A little further up, the river deepens and narrows sharply at Cuckoo Clump, then opens out again, but the platforms in the reed beds give plenty of opportunity to cover the water. 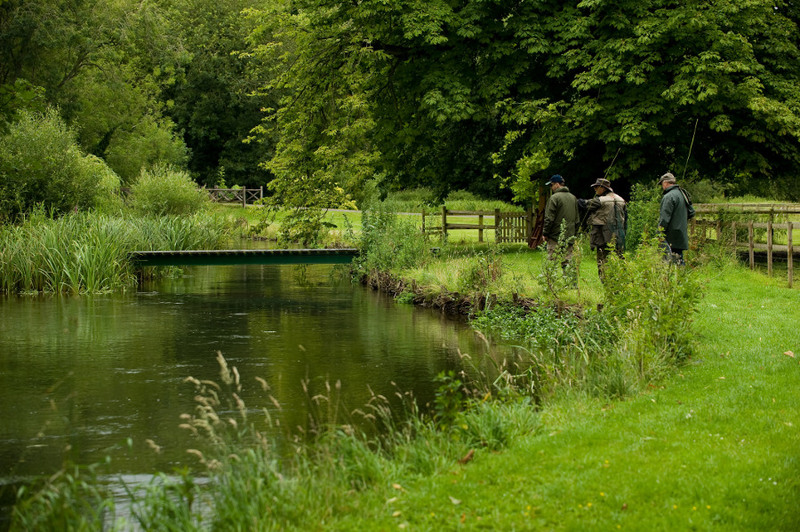 On past the Hut the food line, under which the fish hang, is mostly on your side or within casting distance. 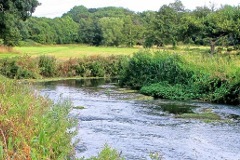 Close to the top the beat shallows, with some great holding water on the final bend. Off the main River Test, this beat is an absolute delight and vies as one of the most popular with the Mottisfont Fly Fishing Club members. 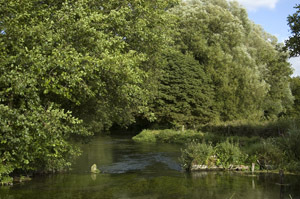 The beat starts on the right bank (looking upstream) in the Bitterne Grove Woods which give plenty of protection from the extremes of sun and wind, but with a thirty yard open bank corridor casting is rarely restricted to one of the best sections on the entire Abbey estate for free rising fish. At the half way point the woods end and the meadows begin. 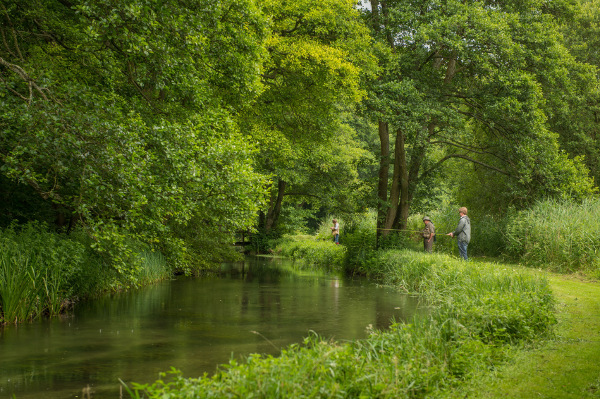 The fishing is on both banks as you choose, with gentle curving bends, gravelly sections, undercuts and tremendous ranunculus weed growth. 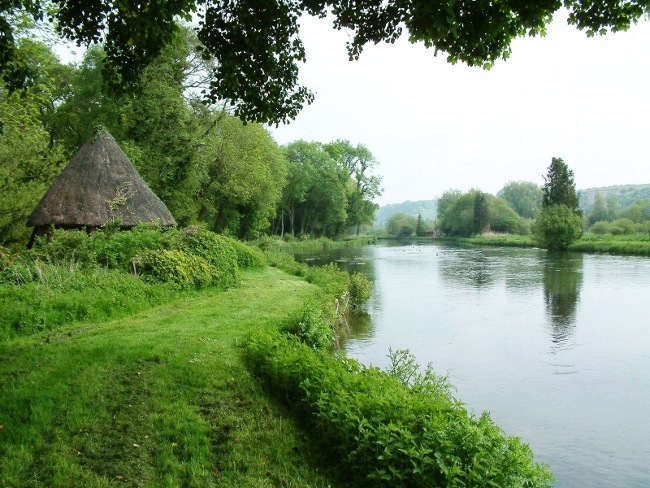 This beat is suitable for 3 rods and has a thatched fishing hut. 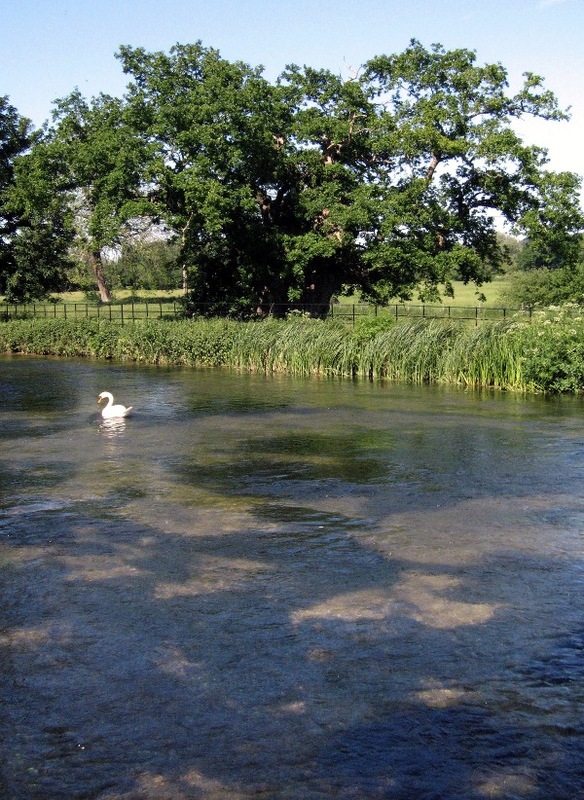 A lovely beat that has been extensively improved and restored by the National Trust over the past five years. 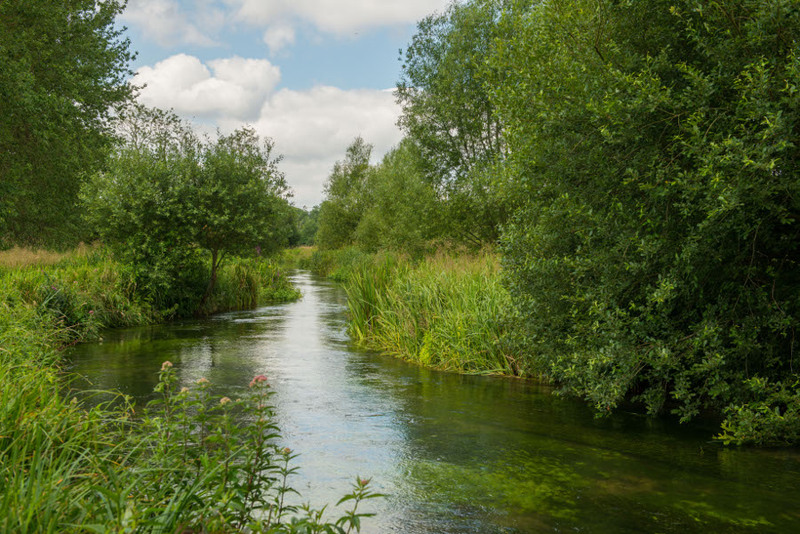 The beat starts where the Kimbridge Estate ends with fast water that races over a clear gravel river bed that twists and turns until the junction with Wallace’s Stream, a deep pool for big fish, salmon and sea trout. 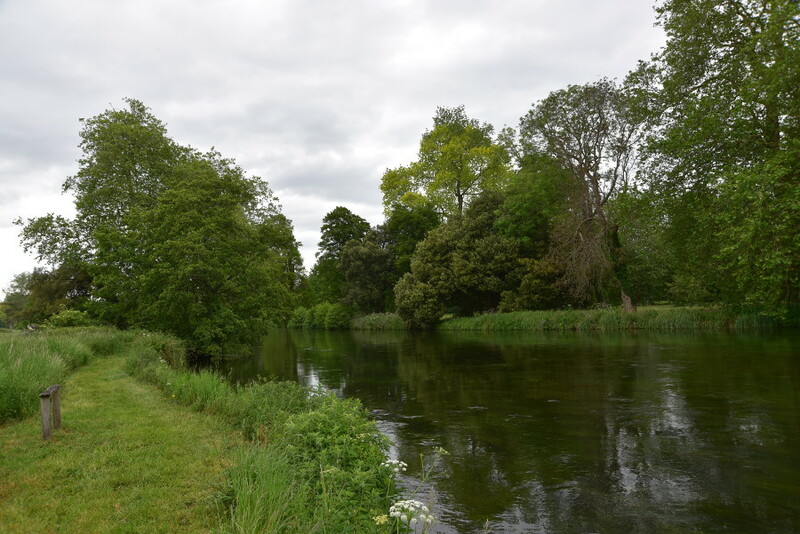 Through the Chicane the river opens up into the meadows and staying on the left bank this is exciting fishing with a fantastic holding section beside the Fishing Cabin. 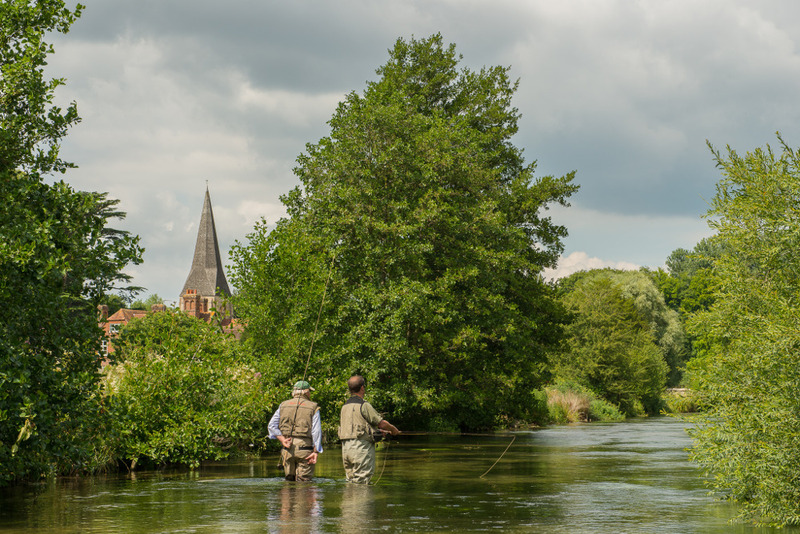 Beyond the cabin, with still half the beat to go, fish the bank of your choice for most of the way until the turbulent water that races out under the bridge that marks the top of the Rectory beat. 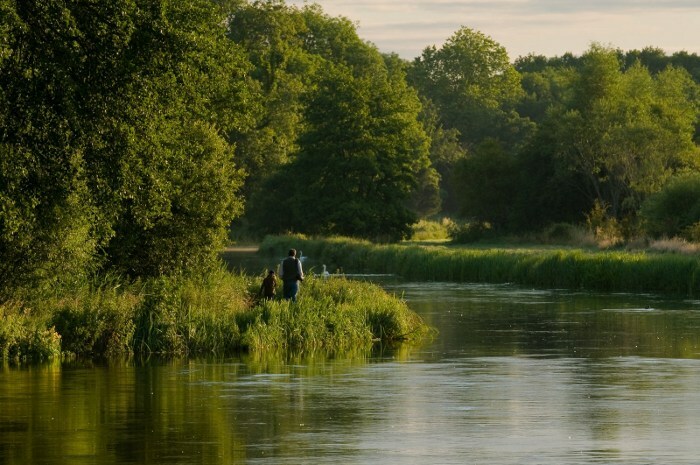 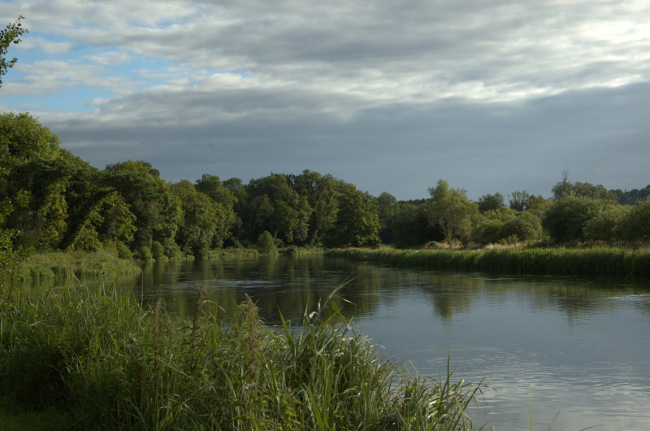 Minimum booking May 11 – July 31 is 2 Rods on Main, Oakley or Rectory and 3 Rods on Dun. Oakley beat only: Add £51/Rod April 27-May 10, £102/Rod May 11-June 7 and £50/Rod June 8-July 31. 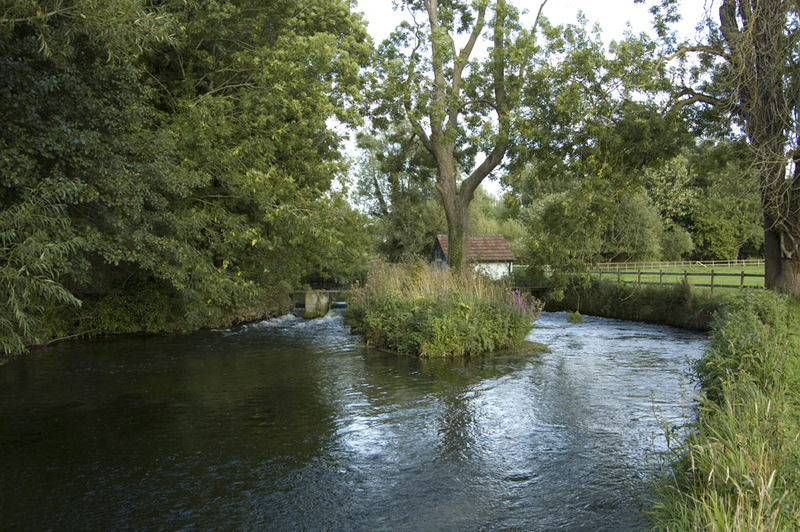 The River Dun is one of the most substantial of the River Test tributaries, rising above Lockerley and joining the main river at Mottisfont. 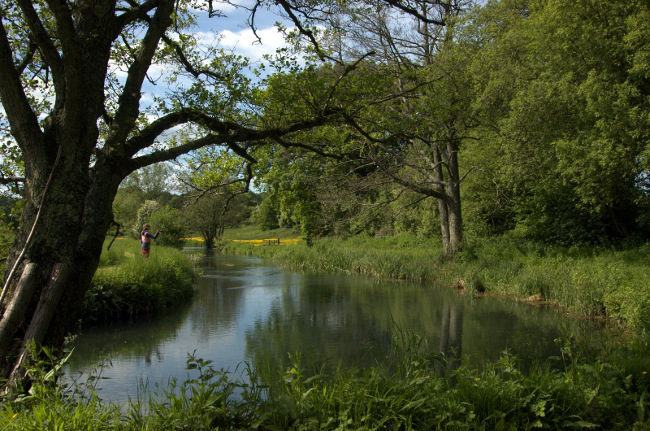 The School Farm beat lies at about the mid-point, gently snaking through the lightly wooded valley and holding fish along its entire length. School Farm is one of the most immaculately maintained estates in the river valley, with five-star facilities for the fisherman. 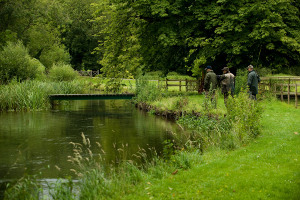 The beat is very well stocked with both brown and rainbow trout, the fishing offering a variety of glides, weirs and a hatch pool in a peaceful setting. The fishing is available for two or three rods a day or small corporate parties. 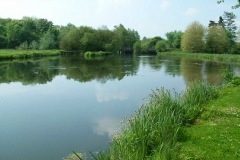 Minimum booking 2 rods until August 1. 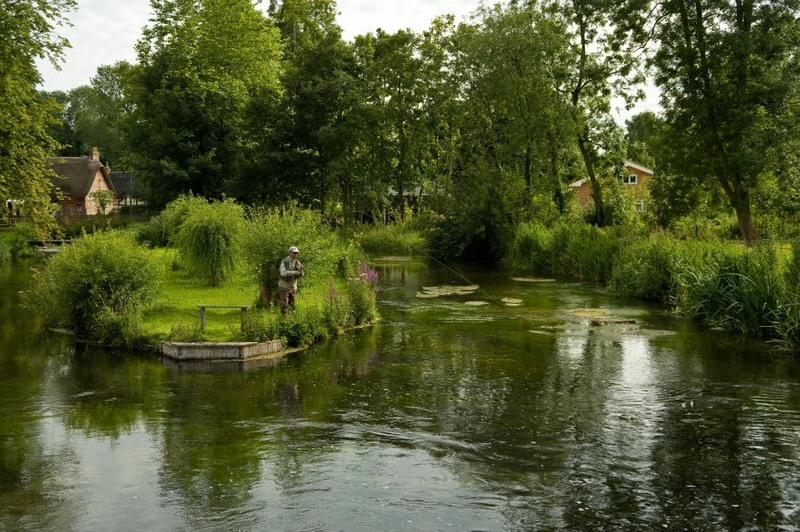 The Parsonage is one of the original Fishing Breaks beats, dating back over 20 years. 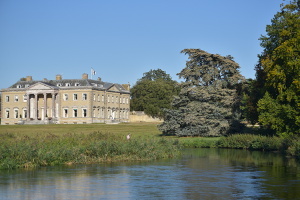 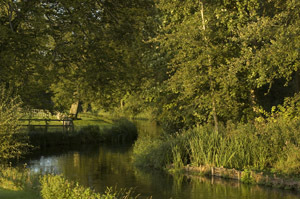 It is a unique combination of the main River Test with a long carrier, all within the beautiful setting of woodland and water meadows. The main river is wide with a combination of long glides, deep pools and some shallow sections. 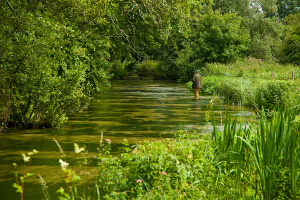 There is a good wild trout population supplemented by regular stocking plus plenty of grayling and the occasional sea trout and salmon towards the end of the season. The carrier, recently extensively restored, is far more intimate fishing and the perfect place to break out a smaller rod. The beat is ideal for up to four rods or larger parties. 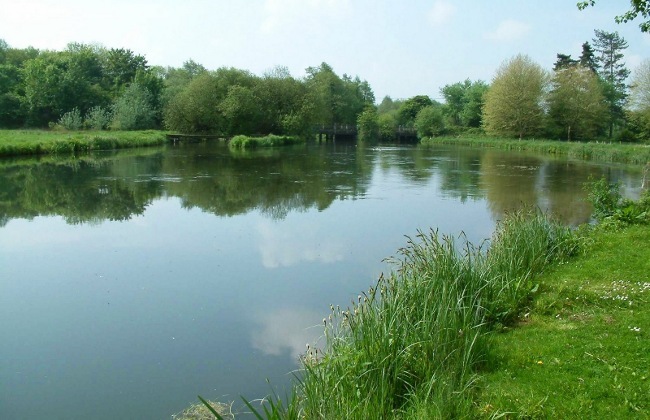 There is an excellent fishing cabin overlooking the river and plenty of parking. 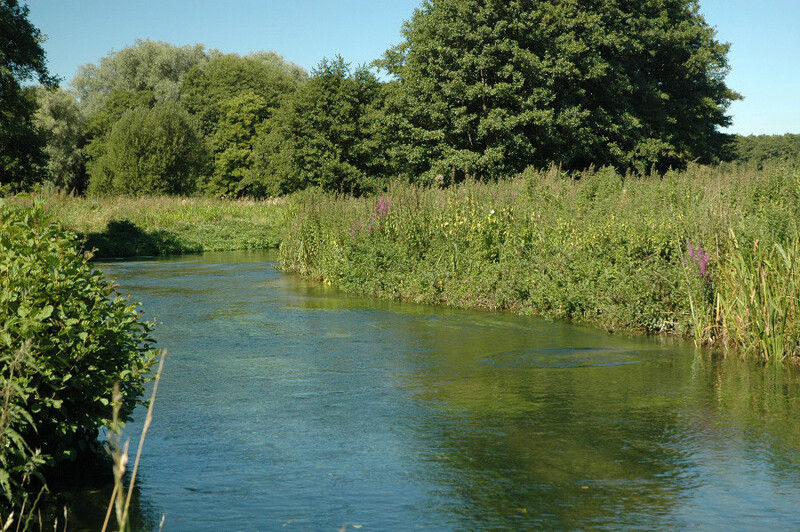 Timsbury is a long established fishery that has been in the expert guidance and care of Jonathan Durrant for over 25 years. 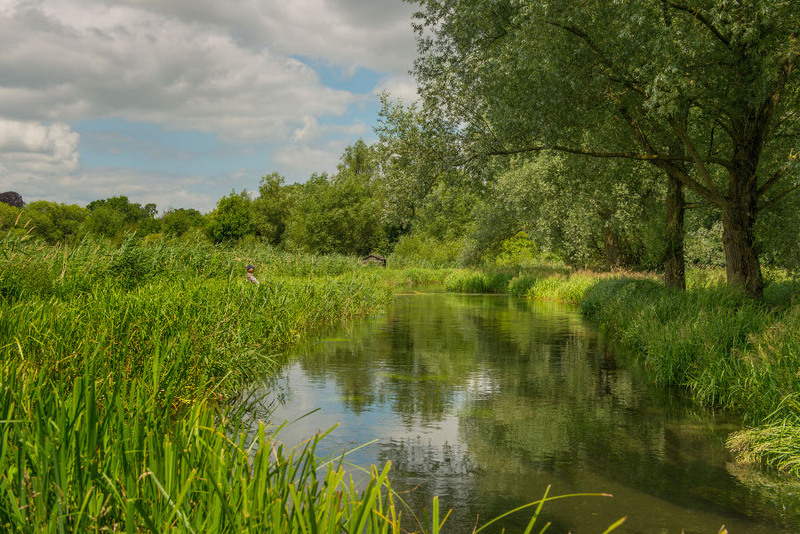 Beautifully maintained and very well stocked this wonderful selection of a fast flowing carriers and wide River Test has something to challenge every angler on every visit. 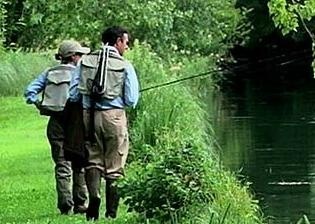 Divided into four beats which rotate daily each beat is ideal for one or two Rods or two friends sharing. 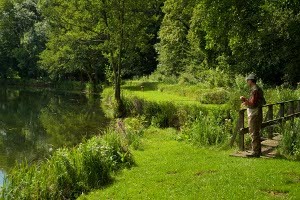 On some dates we have two beats available to make up a small party. 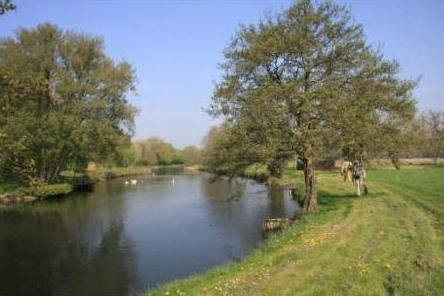 There is an excellent main fishing cabin overlooking the river and plenty of parking. 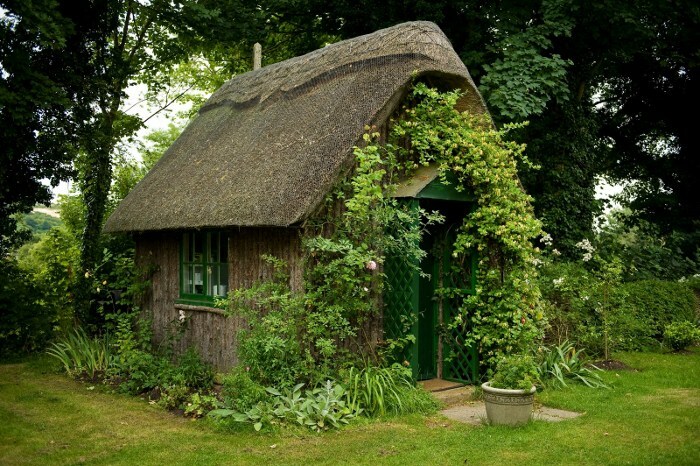 In addition each beat has its own private hut. 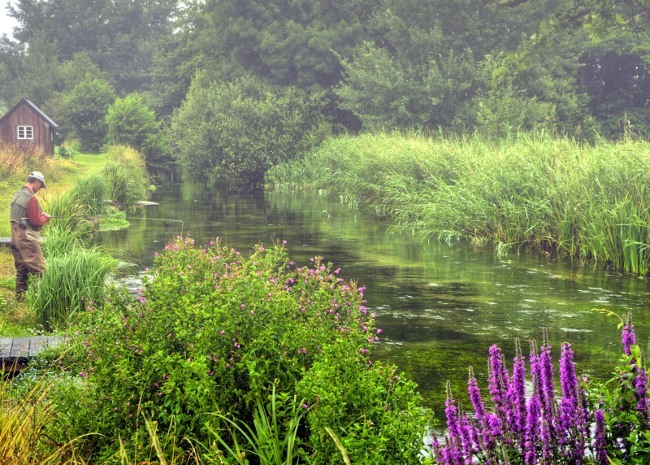 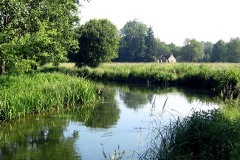 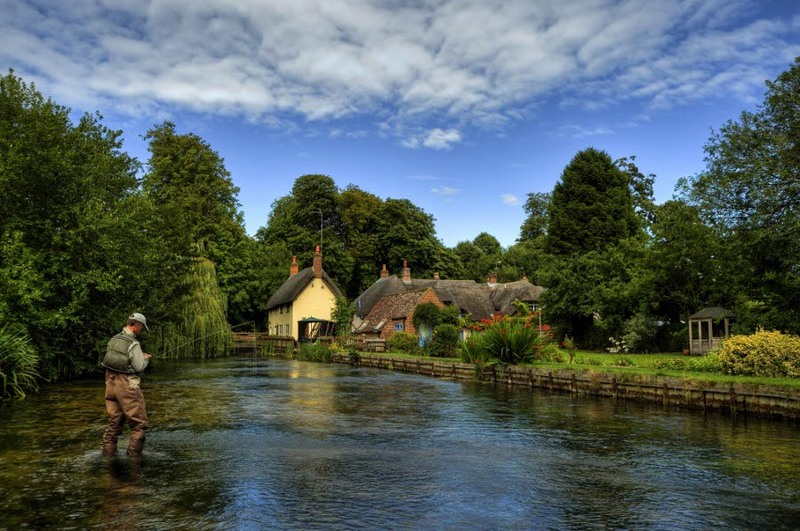 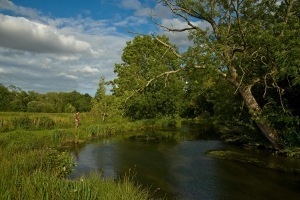 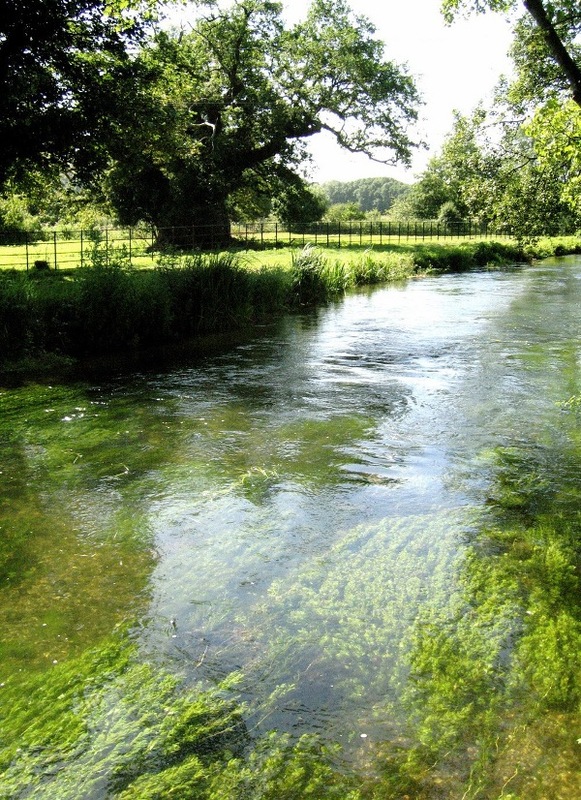 Set in the heart of Hampshire, the gin-clear chalkstream waters of the River Anton are a delight for any river angler. 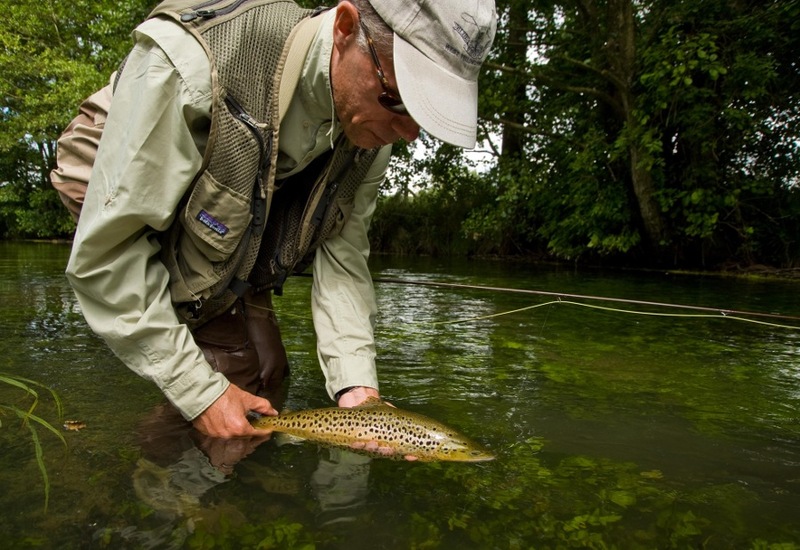 The Upper Clatford beat is the perfect opportunity for classic sight fishing with the dry fly. 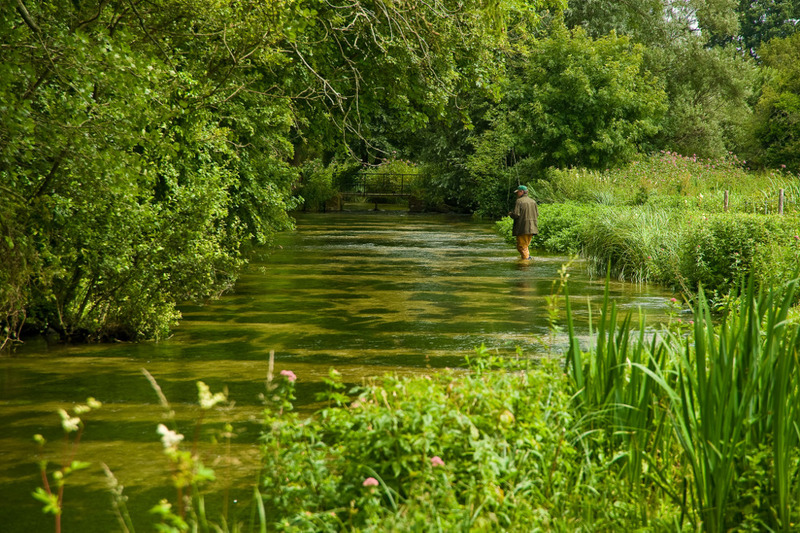 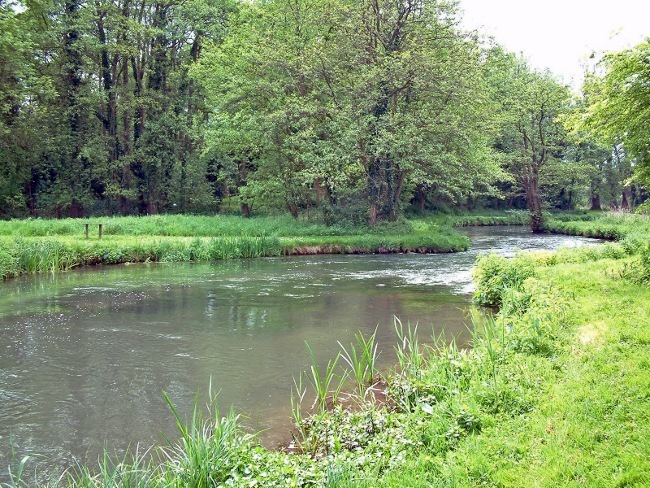 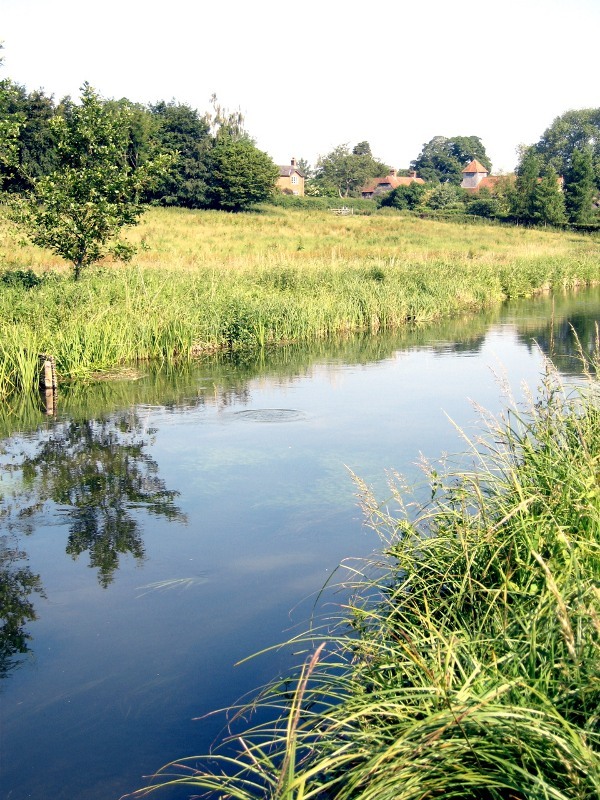 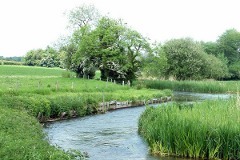 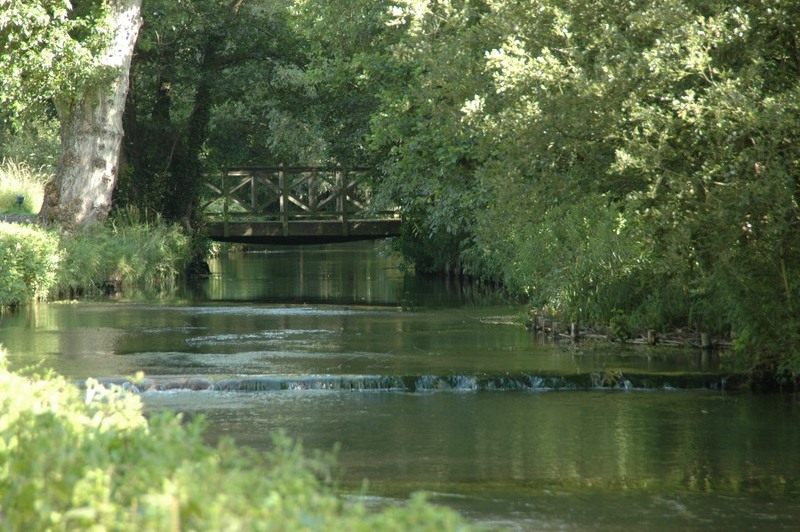 A tributary of the River Test the Anton has a natural head of brown trout and large grayling, which are supplemented by carefully selected locally reared brown trout. 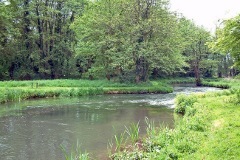 Mostly fished from the bank, the beat does however have a wading section from the weir to the top boundary. 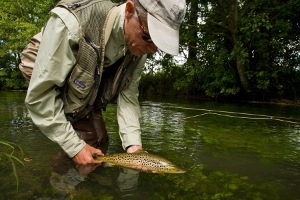 Please note this is dry fly only until the end of July and restricted to two-rod bookings. There is a fishing hut and parking. 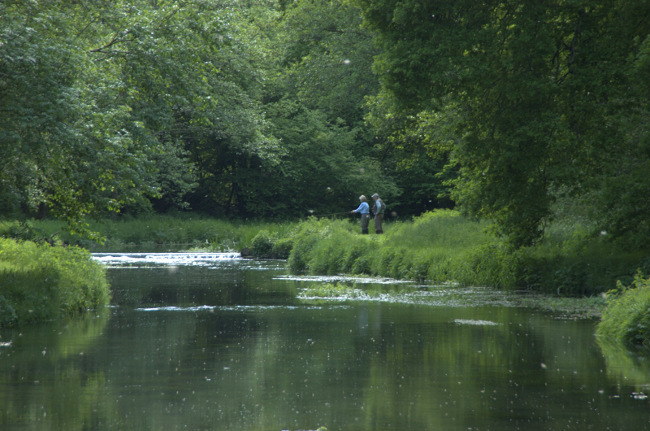 Minimum two Rod booking May 1 – September 30. 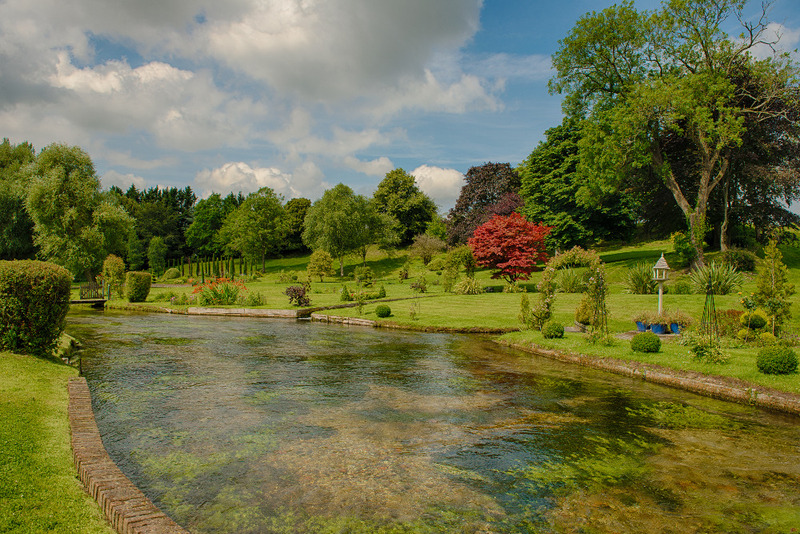 Wherwell Priory is one of the most idyllic country estates in Hampshire’s famous River Test valley, where the river flows through a tranquil parkland setting. 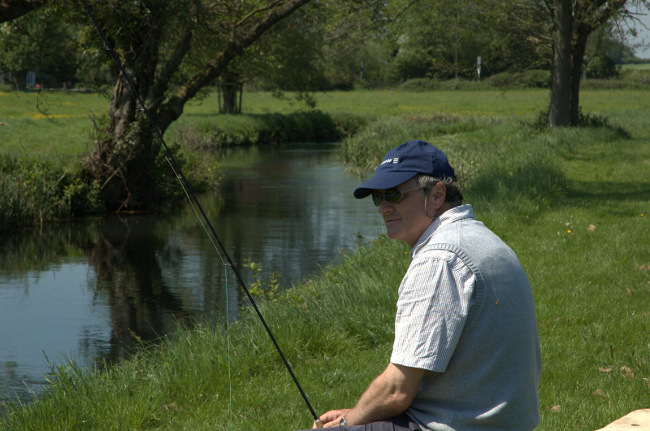 The fishing comprises just over 1½ miles of double bank river, divided into two beats named The Park and The Priory which are cared for by river keeper, Michael Taplin (pictured). 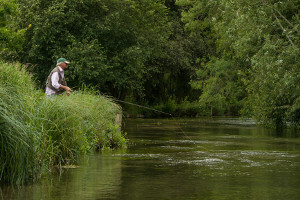 All of the fishing is from the bank, though there are some short sections which can be waded. 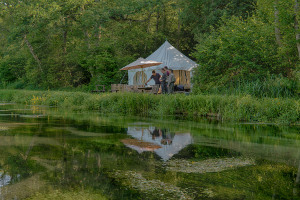 Each beat has a comfortable fishing cabin and is suitable for up to three rods, or you can combine both beats for a larger party. Watch the 3:31 second Directors Cut of CHALK filmed at Wherwell Priory. 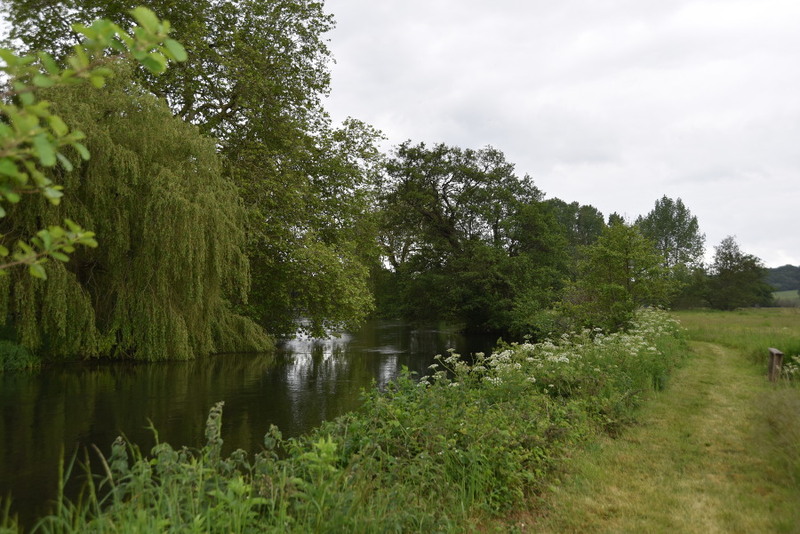 There is a great variety of fishing on this very long beat, double bank along its entire length with the right bank prepared for easy bank fishing. 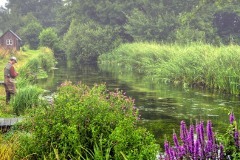 Start from the bottom where the river is not deep, but wide and fast. You are overlooked by the village houses on the opposite bank but they have no fishing rights. 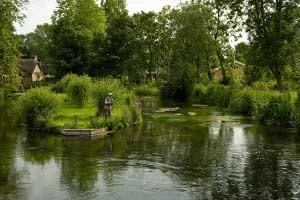 At The Mill there is a deep, turbulent hatch pool and beyond that is the garden section that is only fished by wading. 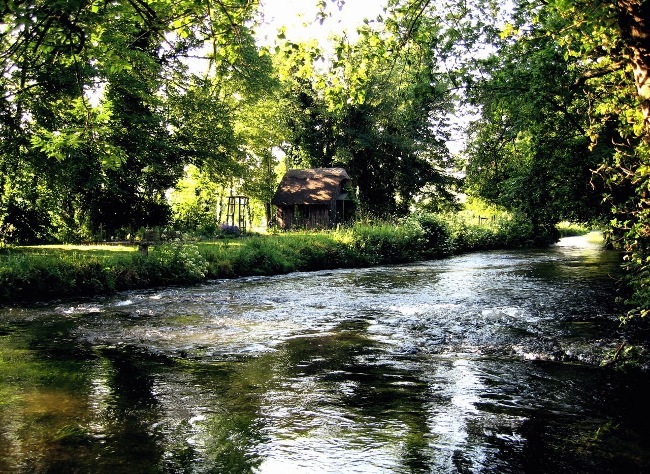 Above Church Lane you return to your fishing hut, a quaint little wooden hut right beside the river under the shade of a chestnut tree. 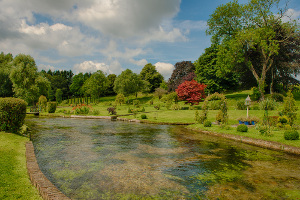 Cross to the island for the best pool on the beat. 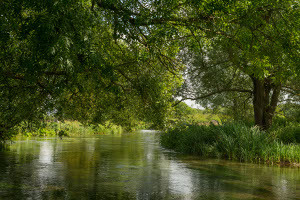 Above is a lovely section that is deep and fast, shaded by the woods on the opposite bank to take you to the end of the beat. 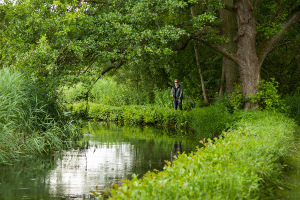 The beat itself is the same length as Park, again double bank the whole way but without any houses and fished from a combination of left and right bank, plus a wading section. 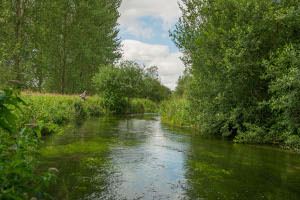 Start from the downstream end with fast, deep runs that in turn become a shaded glide up to the productive double hatch pool. 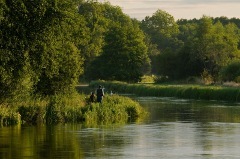 Above the hatches is a long straight section that is really good for sight casting to the holding fish. The final section is again shaded by the opposite bank trees and is perfect to fish from the bank or wading. Minimum booking 3 rods May 13 - June 8. 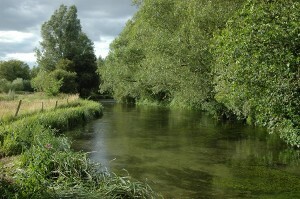 The higher one ventures up the River Test system, the better the hatches, the clearer the water and the wilder the fish. 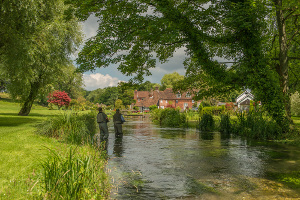 There is no better way of summing up the fishing at Whitchurch Fulling Mill. 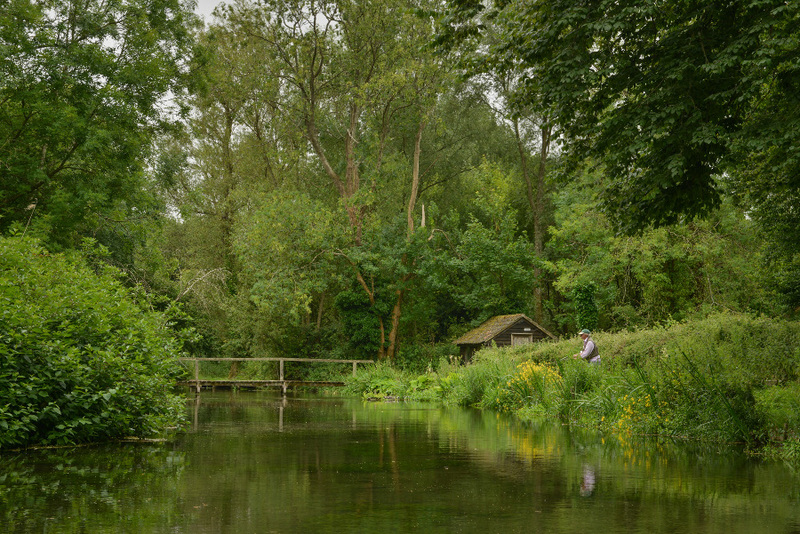 Fulling Mill is one of those rare places where you can get up so close to feeding fish that you can sometimes almost pick them up in your hand. The water clarity and the abundance of food are exceptional, and the fish are always on the look out for food. 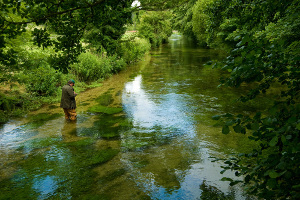 The beat breaks down into three sections; two wading and one bank plus three hatch pools and one mill race that holds trophy fish. 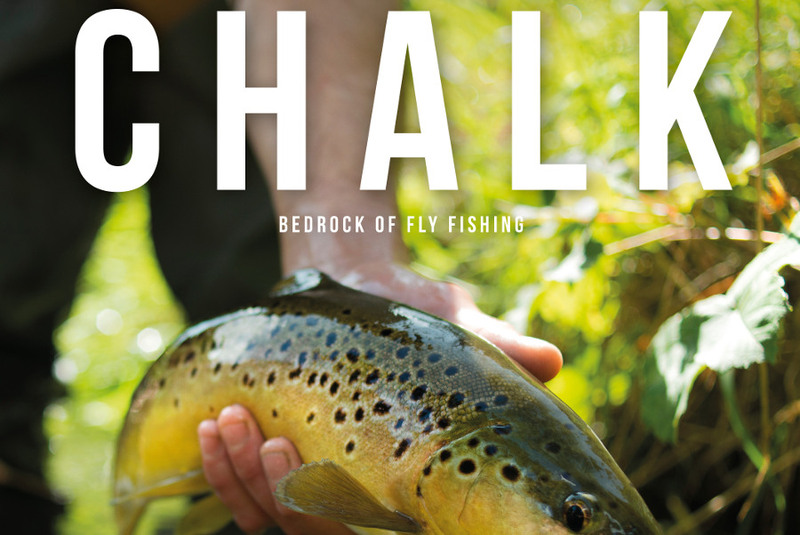 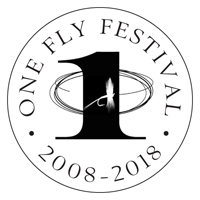 A two-time winner in the River Test One Fly, this beat will often produce the day of a lifetime.